Miles of hot, dry desert are broken by the might Niger River where natives paddle pirogues to catch fish for their daily meal. The mythic city of Timbuktu sits on the river waiting to be found and revived to the vibrancy of its past while still capturing the hearts of travelers. But underneath the exterior of perfection, Mali is troubled. It is one of the poorest countries in the world with very few modern conveniences throughout much of the country, even in tourist areas. Arrive ready for a bit of adventure and you’ll find yourself in a wonderland of new cultures, endless sand, and surprising historical sites. 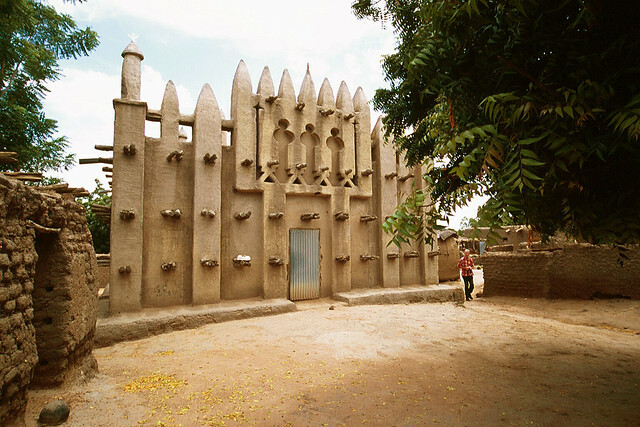 The official language of Mali is French, but most people speak African languages such as Bambara and Dogon. In rural areas, native languages are spoken more often than French, which many people do not understand. Almost no on speaks English. 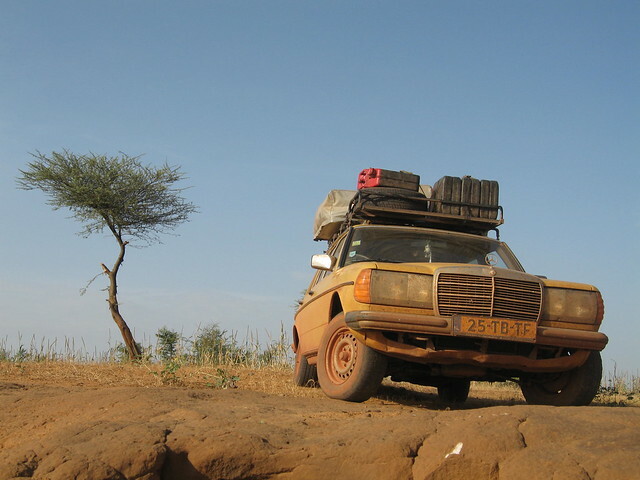 Kidnapping, especially of Western travelers, is a significant threat in Mali. The terrorist group Al-Qaeda in the Lands of the Islamic Maghreb (AQIM) is quite active and has openly declared its intention to strike Western targets. Additionally, confrontations between illegal arms dealers and drug traffickers often turn violent. The U.S. State Department does not recommend travel in northern Mali and urges travelers to use extreme caution in the remainder of the country. 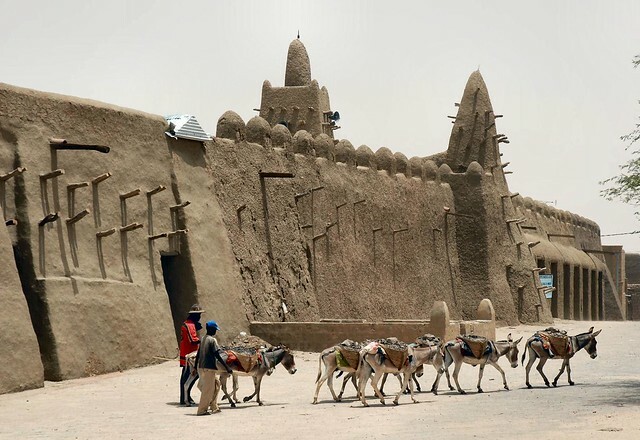 Tucked between the Sahara Desert and the Niger River, you’ll find the legendary city of Timbuktu. Although used today to reference a place far away from everywhere else, Timbuktu was once a convenient and important trading center. Today, the city is a UNESCO World Heritage Site, which protects the walled city as best it can even though desert sands are encroaching. In Timbuktu, you can tour the mosque and explore the streets. The Grande Marche is a colorful scene of food stalls and vendors selling everything from necklaces to knives. Mali, particularly Timbuktu and the surrounding area, was once the wealthiest and most powerful area of West Africa, which was due in large part to the natural resources of the area. Many trade routes led across the Sahara through Mali and the Niger River supported life with its fertile riverbanks and an additional, essential, trade route. Consider taking a slow boat along the Niger to Timbuktu past the rocky cliffs of the Bandiagara Escarpment. 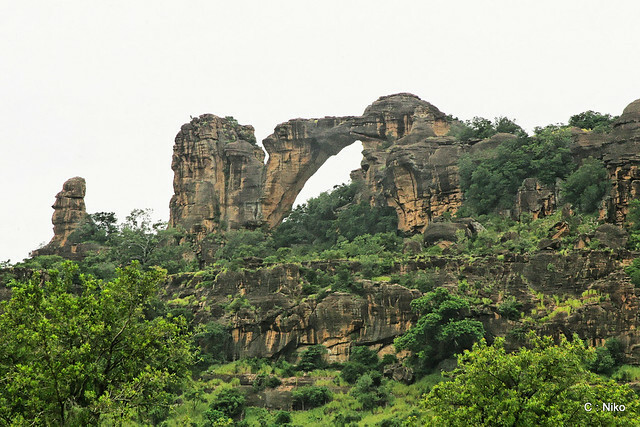 Perhaps make a visit to the cliffs themselves to hike along the edges and meet the locals, an ethnic group called the Dogons, who have inhabited the area for centuries.